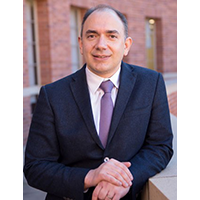 Stavros Panageas is Associate Professor at the UCLA Anderson School of Management. Previously, he taught at the Booth School of Business of the University of Chicago, the London School of Economics, and the Wharton School of the University of Pennsylvania. He is a faculty research fellow of the National Bureau of Economic Research and he has been a visiting scholar at the Federal Reserve Bank of Minneapolis. He has worked as a fixed income quantitative analyst for Fidelity Investments and was a co-founder and board member of AIAS NET, one of the first Greek internet service providers. Panageas’s research has appeared in prestigious academic journals such as American Economic Review, Econometrica, Journal of Political Economy, Journal of Finance, Journal of Financial Economics and Journal of Monetary Economics and been presented at leading universities and conferences worldwide. He is the recipient of the 2012 Smith-Breeden Prize for the best capital markets paper in the Journal of Finance, the Utah Winter Finance Conference Best Paper Award, the Four nations Cup, a Rodney White Research Grant, two Geewax, Terker Prizes in Investment Research from the Rodney L. White Center for Financial Research, and a Paul Alther Prize for the best undergraduate thesis at the University of St. Gallen. Panageas earned a Lizentiat in economics from the University of St. Gallen in 1997 and a Ph.D. in economics from the Massachusetts Institute of Technology in 2005. He joined the Anderson faculty in 2016.